In 1634 Seathrun Ceitinn completed Foras Feasa ar Eirinn, (A Foundation of Knowledge on Ireland), a narrative covering the days from the creation of the Earth to the arrival of the Normans in the 12th Century of the Christian Era. Ceitinn had been born about 1570 during Elizabeth’s reign, left Ireland about 1603 after the Battle of Kinsale, studied for the priesthood at the Irish College in Bordeaux, earned a Doctorate of Divinity there and returned to Ireland as a Priest about 1610 after the the disastrous Flight of the Earls. Ceitinn wrote poetry and religious works but his most historically important was “Foras Feasa..”He wrote it as a counter blast to the genocidal goadings of the English poet Edmund Spenser(1552-1599) and the anti-Irish slander of the 12th Century Girlaldus Cambrensis which Spenser drew on in his own time. They dedicated their work – Do chum Gloire De agus Onora na hEireann. (“To the Glory of God and the Honour of Ireland”. Some of today’s Snowflake Millennials and older know-nothings will be amazed that literate people believed in God, and anyone’s duty towards Him/Her, Creation and an Earth only a few thousand years old. But the very learned Church of Ireland Archbishop of Armagh, James Ussher, (1581-1656) Dubliner and graduate of Trinity College, Dublin, had established, to his own and his generation’s satisfaction that God had created the Earth in the year 4,004 BC. As a Christian, Ussher would have no quarrel with St Paul’s urging – Whether you eat, drink or whatever else you do, do it all for the Glory of God. 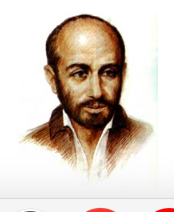 Ignatius of Loyola, in the Basque region of Spain died when Edmund Spenser was about four years old and was beatified in 1609, the year of the Flight of the Earls. Members of the Order he founded, the Society of Jesus, had been advisors of Hugh O’Neill during the Nine Years’ War, which helped inspire subsequent strugglers for Irish freedom. Ignatius was no “plaster saint” but an ex-soldier in the service of Spain. The Society of Jesus quotes St Paul with the Motto – Ad Majorem Dei Gloriam – “To the greater Glory of God.” Pupils in their schools head all their essays and projects A.M.D.G. to this day. .
Perhaps members of the Society similarly dedicate their contributions to public discourse. But, to be brutally honest, or Honest to Jesus, I cannot believe it. Because when a member of the Society has solemnly and falsely declared, in the Rite and Reason column of the IRISH TIMES — that Daniel O’Connell never shot anybody, and today conducts, in the same organ, an anti-historical, anti-democratic propaganda war, an appropriate response might be “ O.M.G.” followed by a sprinkling of Holy Water.